Here are a few Hadoop Interview Questions for you! 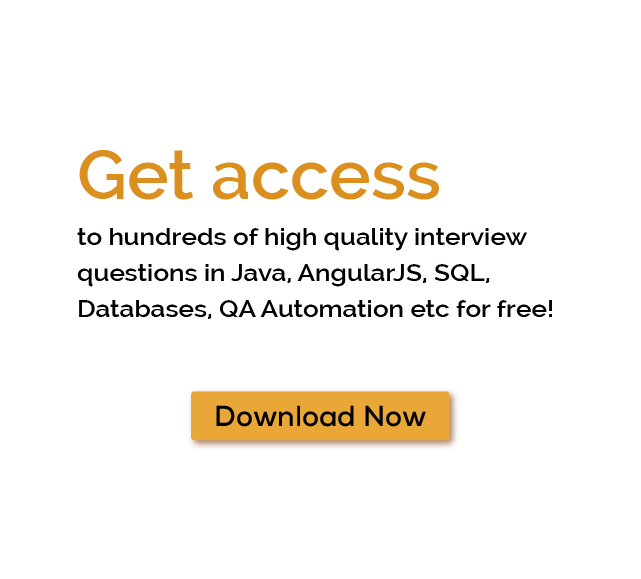 Download more High Quality Hadoop Interview Questions! A database management system or a DBMS allows in the processing of data in a refined manner. Different databases work in different environment that are used for facilitating varied processes. While some allow in the simplified transfer of data, others work well in processing them in clustered systems. This article will throw light on the Hadoop database that is most recommended while running applications in clustered systems and its components. Formally known as apache hadoop, it is an open source distributed processing framework. It allows in the management of data processed as well as allows storing of applications utilizing big file data, running them in clustered systems. Apache develop this technology as a part of their open source project from where it derives its name. Rapid Access of Data - The database uses a namesake distributed file system. This is designed in a manner that aids in providing rapid access to data across different nodes present in a cluster. It is fault tolerant – Being fault-tolerant, it will continue to run the application even if individual nodes fail to operate, thus causing no hindrance in running the applications. It cannot handle high-velocity files with random reads and writes in it. It cannot change a file without rewriting it completely. These drawbacks are limited with the help of HBase and hive data warehouses that are built over the database for offering data query and analysis. This type of architecture is used in the handling a myriad of data. Year after years there is an increase in the growth of data. This hinders the relational databases in handling a variety of databases. An HBase offers scalability as well as partitioning thereby allowing efficient storage and revival of data. HBase is an important component of the open-source database system that leverages with the HDFS’s fault tolerance feature. The data model aids in providing random access to any volume of data, whether structured or unstructured. Furthermore, it offers real-time read and write access to the data. Compiler - It offers the compilation of HiveQL query, which thereafter converts the query into an execution plan. Driver – It acts as a controller in receiving HiveQL statements. The execution of the statement begins with the creation of sessions and monitoring of its lifecycles. The driver acts as a storehouse for collecting data or query result that is obtained after Reduce operation. Metastore – It aids in storing data for individual tables such as their location and schema. It also allows the driver in tracking the progress of different data stored in sets with the help of metadata, which are distributed in clusters. Optimizer – It transforms an execution plan for getting optimized DAG also known as a Directed Acyclic Graph. Thus, it assists in offering better performance and scalability. Execution - The executor aids in executing the tasks after they are compiled and organized, which is done through its interaction with the job tracker for scheduling tasks to be run. CLI, UI, and Thrift Server – All three components allow the Hadoop Hive for interaction with external users who submit queries, for interaction and monitoring the status. The HBase or hive data warehouse processes helps the HDFS in processing data in clusters without hassle. It allows in processing data faster and efficiently than in conventional architecture, which relies on computation and data distribution through high-speed networking. Some of the many Hadoop Interview Questions listed below will help you get an idea about what questions gets asked in such jobs related to Software Engineering & Tech. Get through the Hadoop Interview bar with our selected Hadoop Interview Questions for all Hadoop enthusiasts! For thousands of similar Hadoop Interview Questions login to our Website or download EduThrill. Experience the thrill of challenging people around the world on Hadoop Interview Questions!